I’ve heard so many teachers express how glad they are when they get a handwritten note from a student or parent. In fact, I still have a little box filled with letters and pictures from when I was a student teacher more than ten years ago! Now that I’m a parent, I try to have my kids take the time to think of something specific to thank their teachers for. 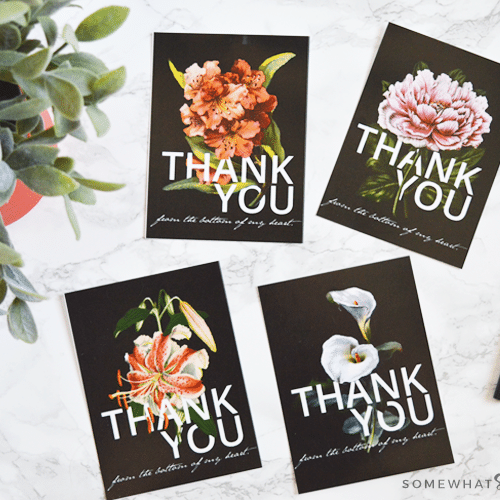 It’s a great way to show appreciation to our teachers! 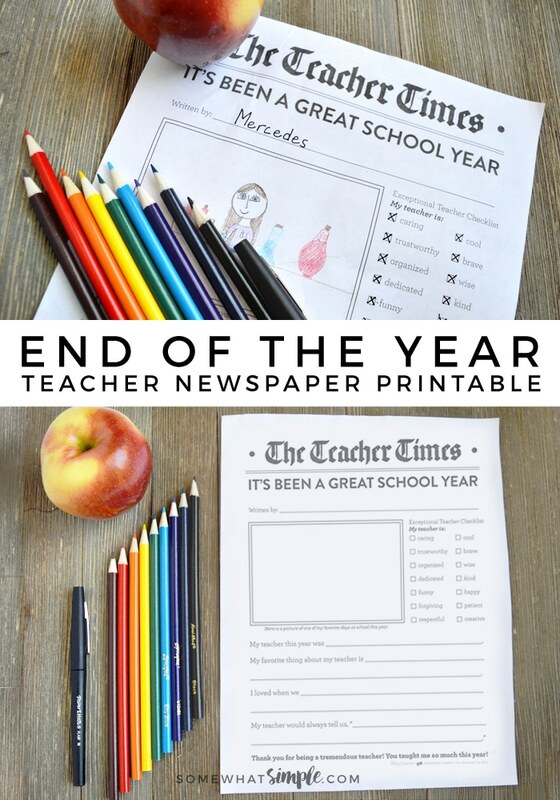 This printable teacher newspaper is something that teachers can have their entire class complete, or parents can have their child complete it as a sweet “thank you note” for teacher appreciation. Older kids can sit down and do this on their own, while younger kids can dictate to an adult what to write. If you have a young child just learning how to write, they only need to write a few words at a time! 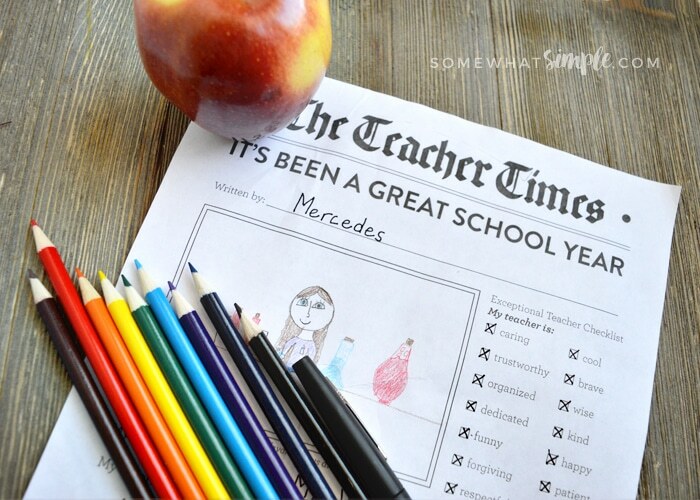 Click Here to download your Teacher Newspaper printable! This printable teacher newsletter is ready to print on a standard 8.5 x 11 inch page. It’s yours to print from home or take to a copy center. 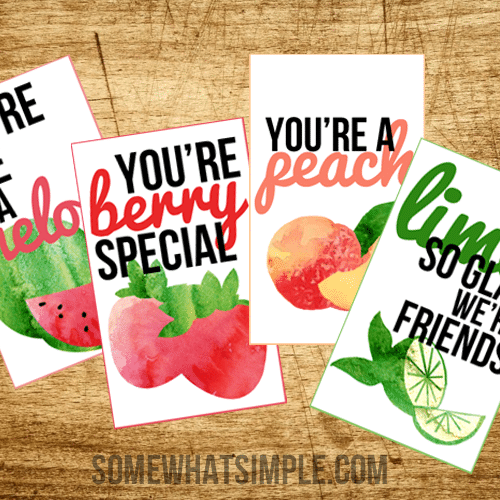 Please remember that this printable, and all other printables featured on Somewhat Simple are for personal use only. It may not be resold, edited, or claimed as your own work. Hope you all have a great end to your school year! 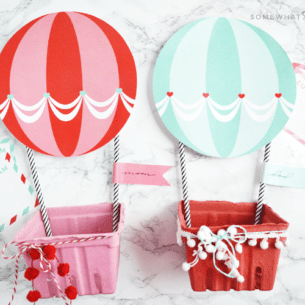 This post originally published in 2015, and was updated in 2017.